Another shot from the surfers who were enjoying freezing themselves silly off Bournemouth Beach last weekend. 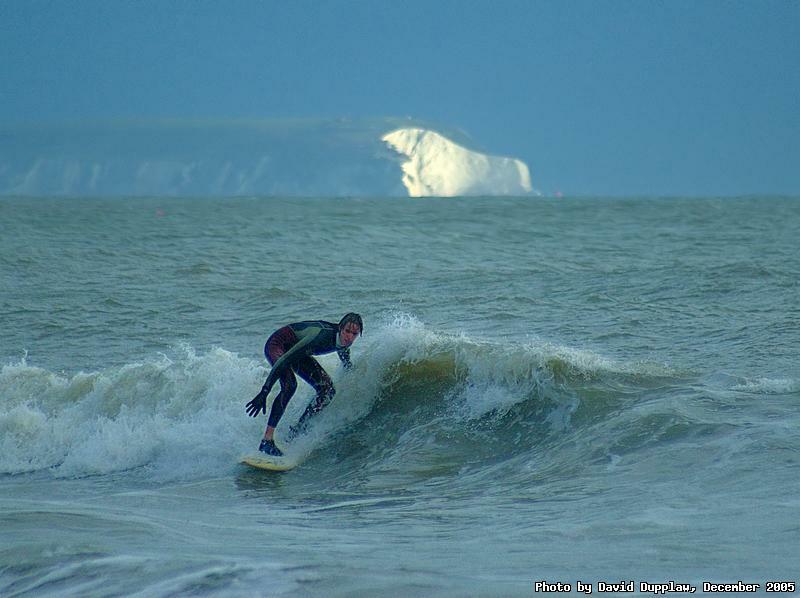 This guy helpfully caught a wave just as the cliffs at the west end of the Isle of Wight lit up with the Sun. In the full version you can juuuust about see the red patch that is lighthouse at the end of the The Needles. The image was curved in Bibble, and a Neat Image version was composited for the sky, while the foreground had selective curves applied to the surfer and the tops of the wave. I did all this because I felt the surfer and the wave were a bit dark and indistinct.